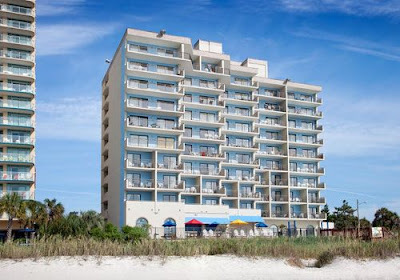 Myrtle Beach SC is a popular vacation destination, golfing destination, retirement community, and family vacation spot. Myrtle Beach has numerous activities for the whole family, like the Carolina Opry, Medieval Times, Springmaid Pier, ice-cream shops, live music, the boardwalk etc. Shop and dine at one of Myrtle Beach's outdoor entertainment complexes, or explore the beaches of the Grand Strand – each with a unique personality. Myrtle Beach is one of the major centers of tourism in the United States because of the city's warm subtropical climate and, of course, the beaches - the area attracts approximately 14 million visitors each year. The Myrtle Beach population is 29k+/- with the Myrtle Beach metropolitan area population 465k+. Take a break, come discover the popular coastal town.